Fraxel treatments can help reverse the hands of time by returning your skin to its original beauty and texture, giving you the youthful look you desire. The skin resurfacing treatment quickly rejuvenates your skin and corrects scars and other imperfections without disrupting your entire day. 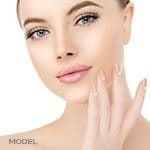 The non-invasive procedure is done right in the MilfordMD Cosmetic and Dermatology Surgery & Laser Center office, and is proven clinically safe and effective. There are three different Fraxel options – Fraxel re:pair, Fraxel re:store and Fraxel DUAL 1550/1927. Fraxel is a family of treatments that help reverse the signs of aging that lotions and creams cannot. The less-than-an-hour procedure won’t put a dent in your day, and returning to your usual activities the following day is typical. Fraxel can help give you smoother, younger looking skin while improving tone and texture. It is FDA approved for wrinkles around the eyes, acne scars, surgical scars, stretch marks, pigmentation, sun damage, melasma (irregular brown patches on face), actinic keratoses (precancerous lesions) and skin resurfacing. Fraxel re:pair, Fraxel re:store and Fraxel DUAL use patented fractional technology, but in different ways. Fraxel re:pair is an ablative procedure using a carbon dioxide laser to vaporize microscopic columns of tissue deep within the skin. It is a more aggressive procedure. 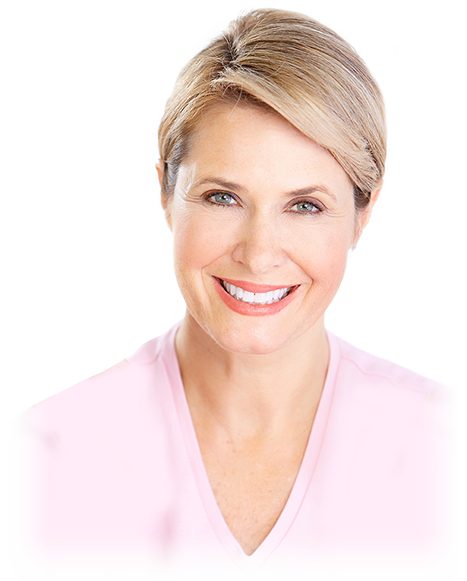 Fraxel re:store uses a non-ablative 1550 laser to create microthermal zones of tightening and collagen remodeling. He Fraxel thulium (1927) is especially great at treating brown pigment. Fraxel DUAL 1550/1927 is a non-ablative procedure, which requires less downtime and less necessity for post-treatment wound care. The Dual combines the re:store and the thulium. Fraxel re:pair has immediate and progressive effects. It takes 20-30 minutes for full face. Side effects can be pinpoint bleeding following the procedure, swelling and redness. Other temporary side effects can include minor itching, dry skin and peeling. 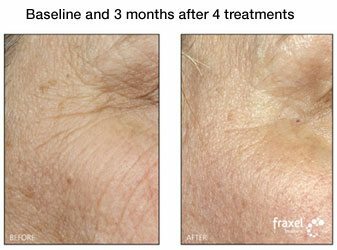 Significant results in just one treatment, smoother more even skin tone and texture, and improved appearance of wrinkles and redness caused by sun damage are a few of the benefits of Fraxel re:pair. Fraxel DUAL resurfaces your skin by stimulating the growth of new skin cells from the inside out. Side effects can include swelling and redness, and is typically minimal and subsides within a few days. Other temporary side effects can include minor itching, dry or peeling skin, and the appearance of bronzed skin. After treatment, the skin may feel sunburned. Wear sunscreen SPF 30 or higher and avoid direct sunlight for at least three months. On average, three to five sessions spaced two to four weeks apart is necessary. It takes 20 to 25 minutes for full face. Benefits of DUAL includes smoother, younger looking skin with improved tone and texture, reduced fine lines and wrinkles around the eyes and improved appearance of scars and unwanted brown spots. 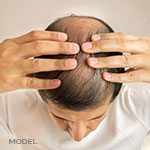 Fraxel works below the skin’s surface from the top down addressing imperfections. Fraxel’s “smart scanning” hand piece ensures consistency and safety of the procedure. The laser penetrates top skin layers, and the light energy stimulates collagen and resurfaces the top layer of skin. Fraxel’s light energy stimulates your skin’s own natural collagen and helps to smooth the creases that cause wrinkles and scars. The procedure takes approximately 15 to 45 minutes.